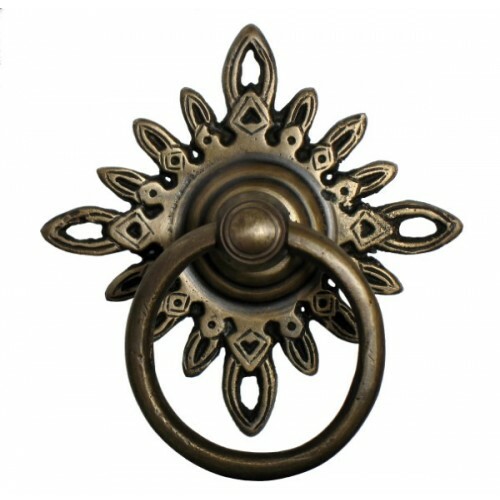 The Gado Gado Round Ring w/ Filigree Star Backplate Ring Pull HRP5012 (3 inch x 3 inch) in Antique Brass (HRP5012) is part of the Gado Gado Collection. Other finishes are available using the item below. 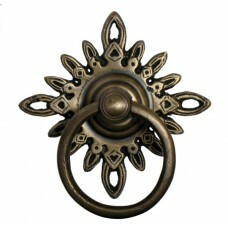 The Gado Gado Round Ring w/ Filigree Star Backplate Ring Pull HRP5012 (3 inch x 3 inch) in Custom Fi..